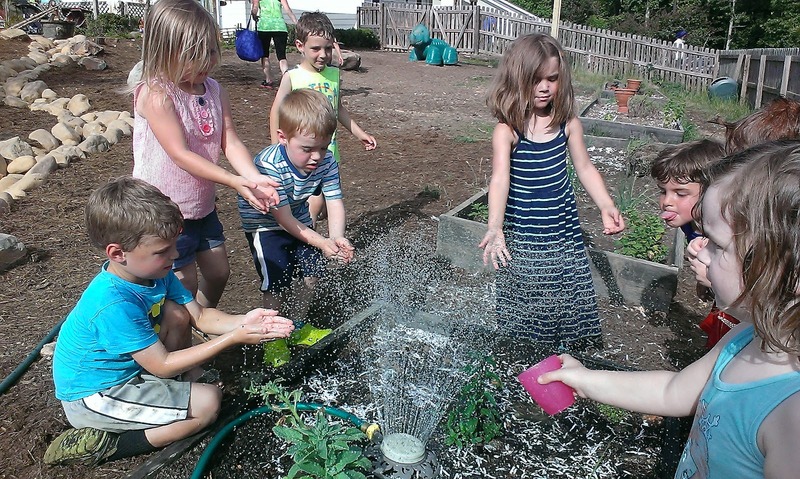 The Little School Community Blog: Growth in our gardens and kids! 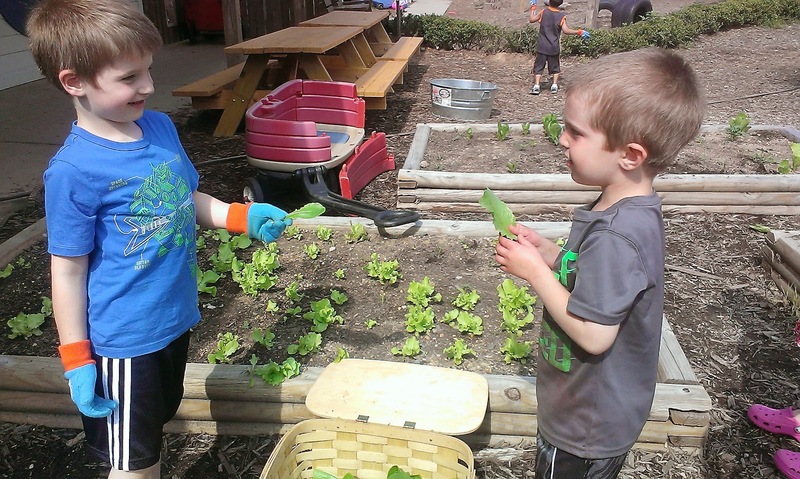 Growth in our gardens and kids! In the far corner of the courtyard, we planted our Three Sisters Garden. With small groups from Miss Rose's class, we went out and planted seeds in a circle on a mound in this beautiful wooden hexagon bed. 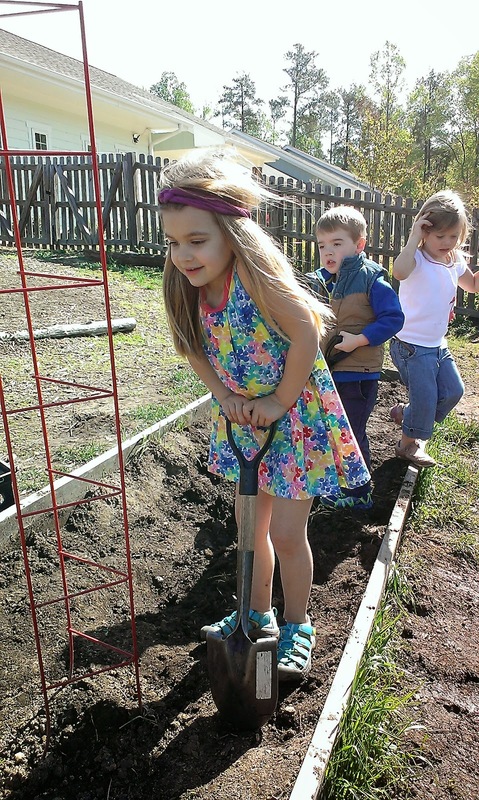 Just as the Native Americans have done for centuries, we started with corn seeds, then added beans, and lastly planted squash. These three companion plants all help each other grow. The corn provides a pole for the beans to climb, the beans add nitrogen to the soil, and the large, spikey squash leaves protect the plants from animals and shade the soil. Preparing the beds for plants was super-fun with shovels, rakes and trowels. 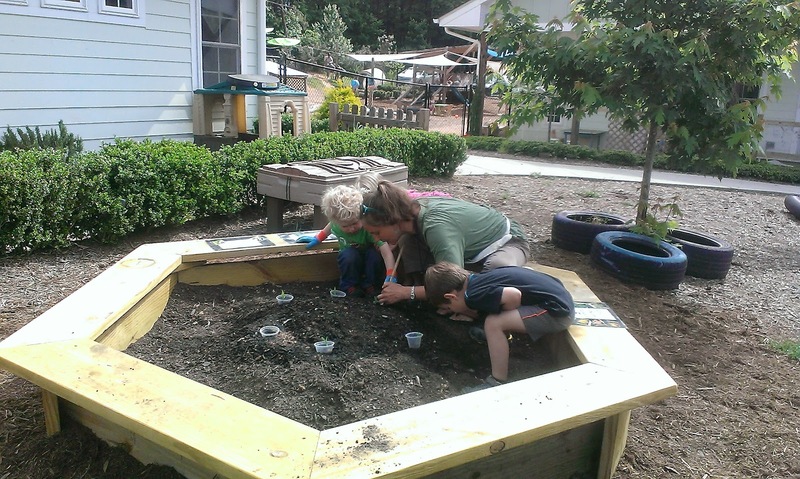 Since the dirt was one of the kids' favorite parts, we have provided several "just dirt" beds around the campus where kids can continue to dig and explore the mysteries of dirt! 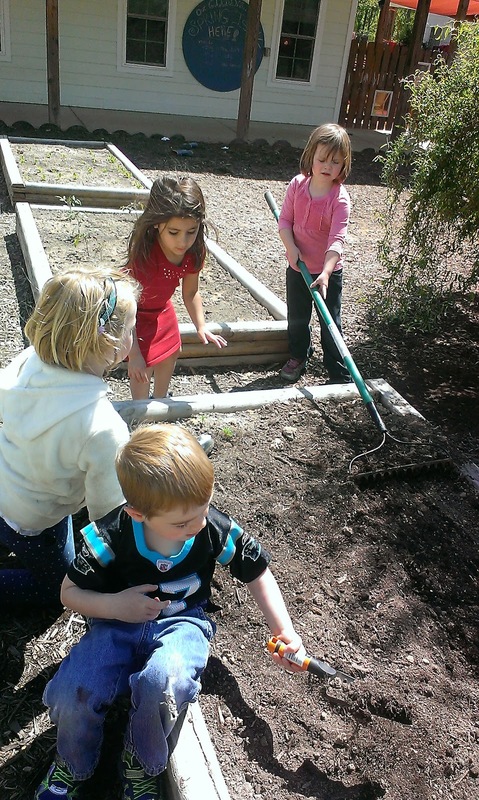 On the Pre-K playground, we planted herbs, grasses, and flowers on Garden Day and we continue to add to them. 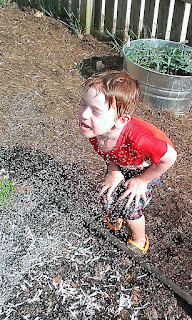 Shredded paper mulch helps keep the soil damp. 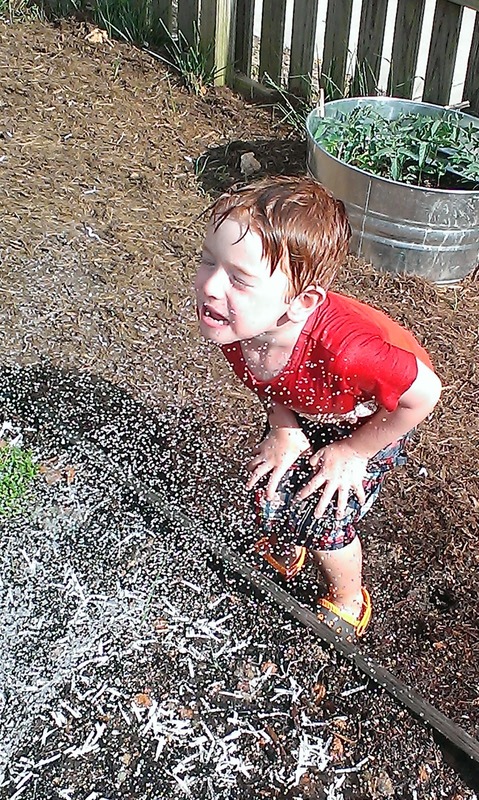 Watering the kids and the gardens helps keep everyone cool and hydrated! 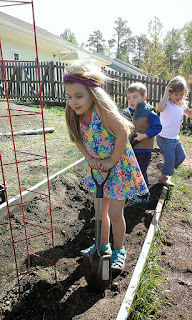 Pick-able plants allow the kids to interact with the garden. The kids have learned to identify mint and lemon balm and love to taste it and share the leaves with teachers and friends. Chef Justin provided the plants for our first crop of lettuce and the kids had a blast "harvesting" it. We pulled it up and tasted it, and then filled the basket with "produce" and delivered it to Chef Justin in the kitchen to use in making our lunches. 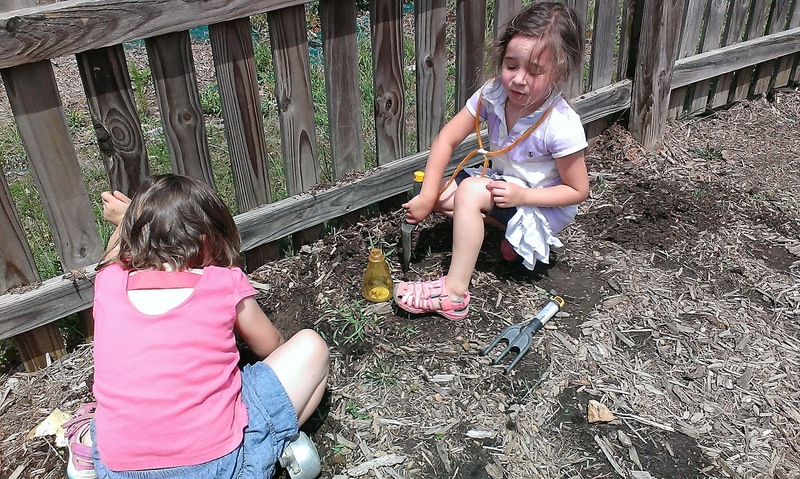 Bugs and worms are another fascinating part of the gardening process. 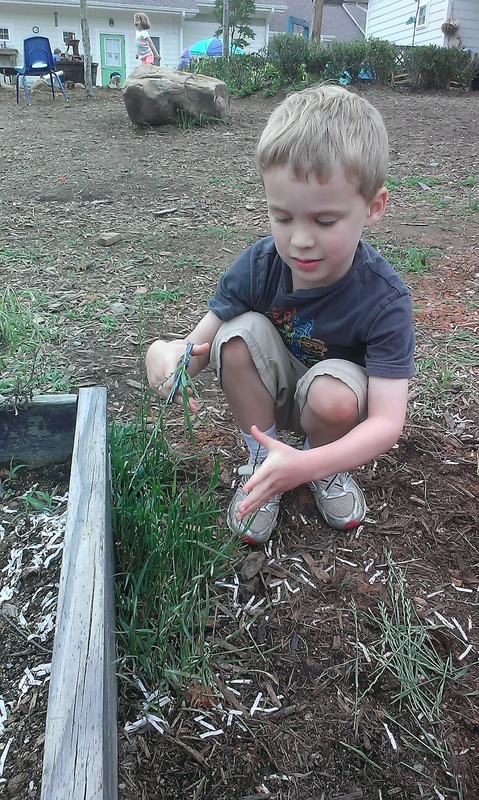 Pre-K student, Jordan, has actively lead the "worm relocation project" and can be found digging up worms on the playground daily and moving them to the gardens where they help the plants! Using scissors in the garden has also been fun. 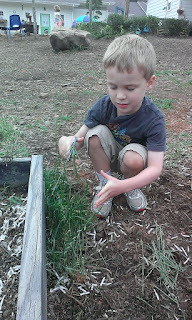 While improving their fine motor skills, the kids trim the grass around the beds and cut catnip from the edges of the fence. 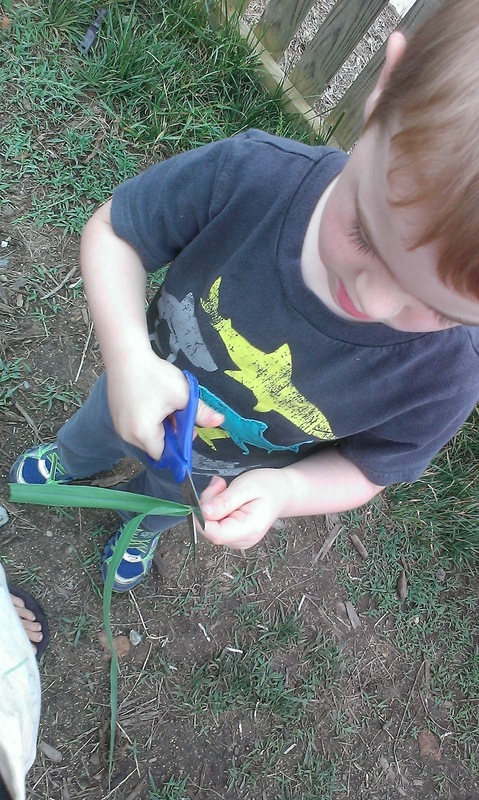 The kids compared trimming the grass to getting haircuts and began to banter that The Little School was a great place to go for a haircut! 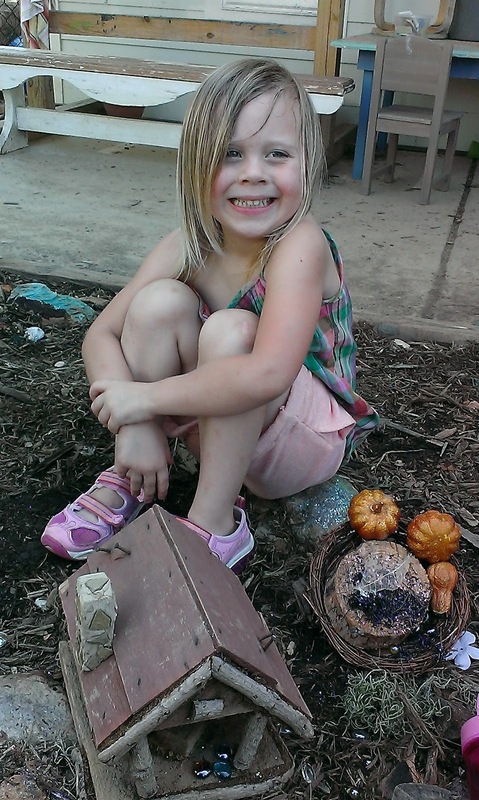 Our Fairy Garden provides a place for creativity and wonder. 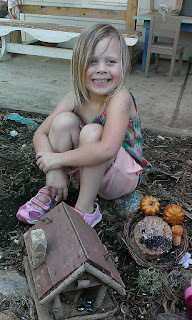 Micah used some of the materials to create her own fairy creation! 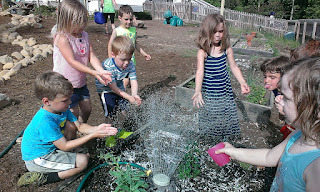 The gardens have added so much to our community. 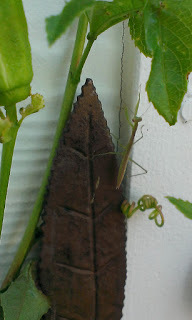 Check them out on your way to and from your child's classroom! See you in the garden!